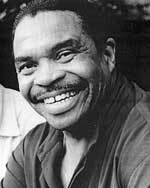 Otis Clay was born at a wide spot in the road just upriver from Rosedale, Mississippi in 1942. He would begin quartet singing by the time he was 12 years old, becoming a member of the Voices of Hope when his family relocated to Indiana. 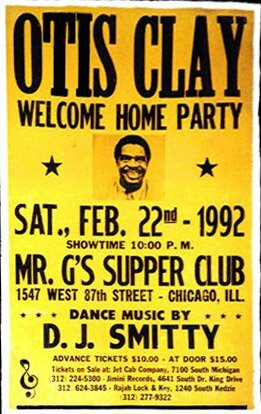 After finally settling in Chicago in 1957, Otis sang with the Golden Jubilaires before becoming a member of Charles Bridges' Famous Bluejay Singers. He sang briefly with the Pilgrim Harmonizers, and joined Cash McCall in the Holy Wonders around 1960. He also recorded a few "secular" sides for Carl Davis during his tenure at the Okeh label, but they were never released. 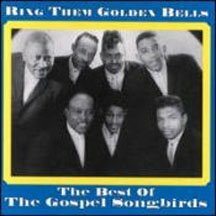 He and Cash moved on to the Gospel Songbirds where they would record for Nashboro Gospel, the parent company of Excello. 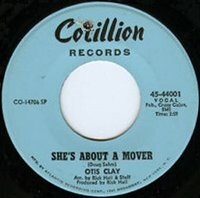 Arthur Crume invited Otis to join The Sensational Nightingales in late 1964, and he jumped at the chance. He toured extensively with them, finally living his dream of going on the road as a professional Gospel singer. The road wasn't all it was cracked up to be, however, as Otis was kind of catching the tail end of the 'golden age' of quartet Gospel. Money was scarce, and a combination of shady promoters and changing times convinced him to try and 'cross-over' as so many had done before him. As we mentioned a few posts ago, Otis became good friends with Tyrone Davis, and they began working together with Harold Burrage, who was George Leaner's main man at his One-derful! family of labels. Although he was unable to sign Tyrone, Harold got Otis a contract and became his manager. His first single for One-derful was a Burrage composition called Flame In Your Heart, and Harold helped take him to the next level. Otis has called him his "big brother in music", and credits him with "teaching him right". When Harold died of a sudden heart attack in November of 1966, Otis and the rest of the One-derful family were hit pretty hard. When That's How It Is (When You're In Love) broke into the top 40 on the R&B charts the following summer, Otis covered Burrage's Got to Find A Way on his next release as a tribute to his friend. When One-derful went out of business in 1968, Atlantic Records picked up his contract, and sent him down to Muscle Shoals. His crankin' version of Doug Sahm's "She's About A Mover" became the first release on their Cotillion subsidiary and hit #47 R&B. 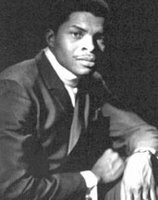 Three more Cotillion singles were to follow including the crankin' "Hard Working Woman" (produced by old Chicago pal Syl Johnson), and "Is It Over", which was produced by good ol' Willie Mitchell. None of them charted, however, and Atlantic declined to renew his contract. Otis welcomed the opportunity to sign with Hi Records and work with Mitchell full time. Hanging around Royal Studio, he developed a father/son relationship with Willie, much as he had done with George Leaner on 'record row' in Chicago. He felt right at home. 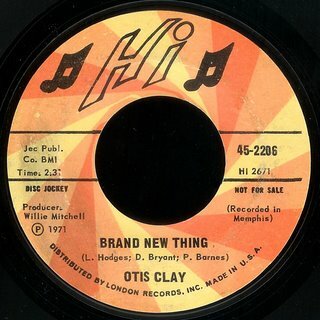 Today's B side (the flip of Home Is Where The Heart Is) was Clay's very first Hi release in 1972. What a great song! Written by Leroy Hodges, Don Bryant, and Pat Barnes, he's already got that Hi thang down! 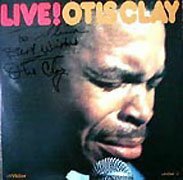 Clay's deep soul voice really gives Mitchell something to work with here, and he would go on to produce some of Hi's most identifiably 'Memphis' sides with him. Later that year he would release his biggest hit, Trying To Live My Life Without You, which spent 10 weeks on the R&B charts, peaking at #24. 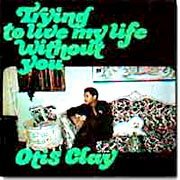 Otis would chart again with the incredible If I Could Reach Out (written by George Jackson!) in 1973, and continued to record for Hi until Willie sold the company, releasing his last album for them, I Can't Take It, in 1977. Later that year, "All Because Of Your Love" (recorded back in Muscle Shoals), would become his last chart entry (#44) and was released on the small Kayvette label, distributed by T.K. down in Miami. At this point, I think Otis read the handwriting on the wall, so to speak. Unwilling to 'go disco', and faced with the prospect of 'losing his audience', he went out and found another one. In 1978 he traveled to Japan, where a nationwide live broadcast of one of his performances gained him a million fans overnight. The concert was later released as a double live album, and the Japanese just couldn't get enough of him. He also has become a much loved figure in his home town , and finds himself sort of an elder statesman of Chicago soul, gospel and rhythm & blues. In 1992, he released the great I'll Treat You Right, on Bullseye, and the following year he reached back to his spiritual roots for The Gospel Truth on Blind Pig. Bullseye also reunited Otis with Willie Mitchell in 1998 on the soulful This Time Around. 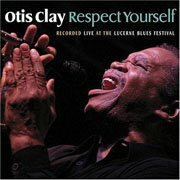 Just last year, Clay released another solid live album called Respect Yourself. 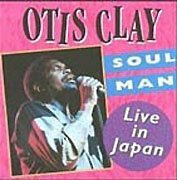 Recorded at the Lucerne Blues Festival in Switzerland in 2003, Otis just brings down the house! As he's been quoted as saying, "Singing in a studio is like preaching in an empty Church." Tell it, brother! That's what I call soul.